Learn how Degoo can afford you that much 'cloud storage' for free. See it is action. 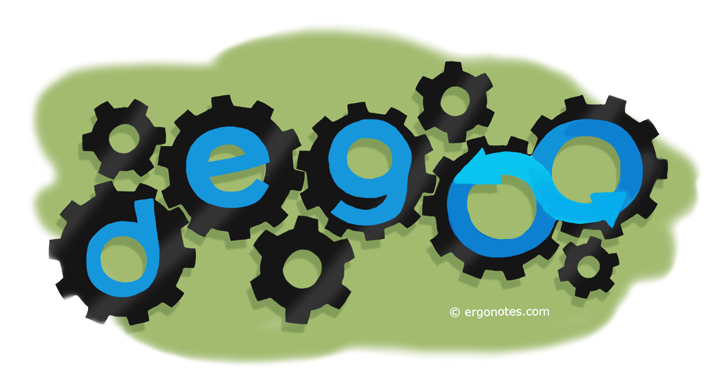 Degoo is a new cloud storage and backup service provider that offers 3GB-100GB space for free. You can get more storage from Degoo by sharing your processor power. Does it sound unfamiliar? Here is how it works. Information in this article is outdated. Please read our degoo review to see how Degoo works now. At this moment, Degoo does not have any paid plan. It also has no web or mobile access. The service offers apps for Windows and Mac OS X only. This post is chary of pictures, if you need them look at our Degoo Review. 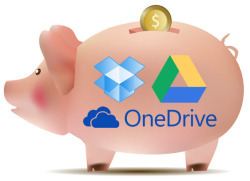 Unlike server/data center based cloud storage brands like Dropbox, OneDrive or Google Drive, Degoo functions in a different theme. It does not use physical data centers to store consumer data. The service utilizes idle hard drive space of its users. Yes, if you are an active Degoo customer, then the data you are backing up with Degoo, is being stored in other Degoo users’ computers. Again, if you are not sharing your own hard disk with Degoo, then you get only 3GB free cloud storage from the company. When you are claiming more space, Degoo is using your computer’s hard drive to save other users’ data. All consumer backups are transferred via a Peer-to-Peer system. When you upload a backup using Degoo, it also downloads other users’ files into your PC. Now that, if you share your hard drive, you can get up to 100GB online storage. Degoo will give even more storage if you share your computer’s processing power. In Degoo app, you will find an option to share your processor with the company’s system. It says that, your machine’s processor power will be used by Degoo clients when it is idle. Sharing processor could double your free storage quota. Degoo depends on online computers. It can read and write user-data while the registered computers remain online. Degoo estimates your online appearance and according to this score (in percentage), it gives the cloud storage amount you get. Degoo says it divides your files in parts and stores them separately in several users’ computers after making encrypted. So, it really makes a sense of security. But what if some parts of these files are not retrievable when you need them? This can be happened if the computer found offline that contains the desired data. Degoo further describes it regularly checks the status of your data and also saves duplicate copy to reduce risk. To be more perfect, if you share your hard drive and processor, then you can get 100+ GB space. If you don’t share anything, Degoo will give 3GB storage. So, to make it clear, this 3GB is actually ‘Free’. It also offers referral bonus. I have another post that features my hands-on experience with Degoo. You can read it here. Did you use Degoo? How was your experience? Please share with us via comments. Thanks. Degoo Review: Is It Worth Your Data? Avira is showing unsafe while clicking on Download button. Also the downloaded file gets quarantined even if i proceed with the download !!! 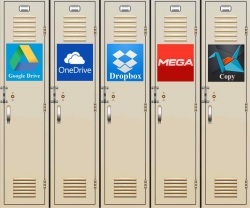 Hi Mr. Carl, i am new to cloud storage space. I liked the idea of your service very much since it offers 100GB free for all our photos. My question is : Is it a secure system so that hackers cannot break into and misuse our data? Also , is there a way to have a live ‘chat’ with one of your agents? With so much hacking in this new info age, i am hesitant to put so much up on the internet or in the cloud systems. I registered but was disappointed by simple scam. I am a user of Dropbox, and Degoo other than space, its no match with Dropbox. They don’t give access on my files online on website. They don’t allow to access from other computers. They don’t allow to logout from desktop and login another ID. They don’t give any user friendly options. If my PC crashes, how the hell can I access my files if i cant access them online or from any other computer? So therefore i am not interested in it anymore.